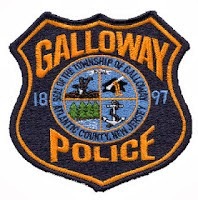 Galloway Township Police responded to 647 calls for service during July 7, 2014 through July 12, 2014. Additional statistics include: 1 Burglaries, 24 Motor Vehicle Accidents, 50 Tickets issued, 1 Driving While Intoxicated, 30 Arrests, 14 Domestic Violence, 12 Fire Calls, 35 EMS Calls and 1 Juvenile calls. Edgar Sales, 24, Sarbelio Perez-Ramirez, 28, Javier Luis-Gomez, 18, and Marco Antonio, 23, of Galloway were arrested by Ofc. Scott Winneberger for obstructing the law on July 7. Raheim J. Stewart, 31, of Vineland was arrested for shoplifting and Dana N. Harris of Camden was arrested for CDS’s and shoplifting by Ofc. Dominic Fabrizo on July 7. Jonathan M. Storey, 31 of Hamilton was arrested by Ofc. Brian Tennant for possession of CDS’s, trespassing, and theft on July 7. Alaya R. Junne, 41, of Atlantic City was arrested by Ofc. Kevin Costa for theft, burglary, and tampering with evidence on July 8. Michael J. Slemko, 48, of Wilmington DE was arrested by Ofc. Fenil Gandi for hindering apprehension on July 10. Shane J. Roback, 22, of Galloway was arrested by Ofc. Matt Worth for obstructing justice on July 10. Dunn P. Gregory, 37, of Galloway was arrested by Ofc. Dominic Fabrizo for identity theft on July 11. Joey Martinez 49, and Jasmine Rios, 34, both of Galloway were arrested by Ofc. Jacqueline Crocker for shoplifting on July 11. John L. Manwaring, 51, of Galloway was arrested by Ofc. Ronald Gorneau Jr. for contempt on July 11. Kathia Cruz, 34, of Galloway was arrested by Ofc. Scott Winneberger for possession of CDS on July 12.